If You Want To Know How To Do Something, Ask A Paralegal. ≈ Comments Off on If You Want To Know How To Do Something, Ask A Paralegal. Why Do Bad Clients Deserve The Best? A good friend recently shared a paralegal post in which the author complained about ill-tempered clients. The author warned that, as a result, the clients’ work would remain at the bottom of the stack on her desk. I disagree. I recall witnessing this behavior more than once as a legal secretary and paralegal toward clients, young lawyers, and legal interns. Law students were particularly vulnerable. I caution any legal support staff against behaving so unprofessionally. If you find yourself tempted, let me remind you of this simple truth. Law students and young lawyers have a bad habit of becoming senior partners and your future employers. And, they have long memories. An Update on the New DOL Overtime Rule. ≈ Comments Off on An Update on the New DOL Overtime Rule. The new overtime rule proposed by the Department of Labor is definitely one to watch. Its impact on employee and employer alike is significant. How will it impact paralegals? As a profession, we began as exempt professionals, and not eligible for overtime. The Department of Labor eventually determined that paralegals were non-exempt because we work under the direct supervision of lawyers, and do not make independent decisions. Personally, I prefer being considered as an exempt professional, but not all paralegals share my opinion. On September 20, 2016, Michigan joined 20 other states in filing a lawsuit against the U.S. Department of Labor (DOL) to block a new overtime rule that goes into effect on December 1, 2016. Here is a link to the complaint Nevada v. Labor Dept., (9/20/16). The DOL’s overtime rule would more than double the salary threshold, up to about $47,500, under which workers are automatically entitled to overtime pay. This rule focuses on shrinking what is referred to as the ‘white collar exemption,’ which exempts employees who perform ‘executive, administrative or professional’ duties from overtime and minimum wage requirements. West Virginia Supreme Court of Appeals Rules On Fee-Splitting Between Lawyers and Non-Lawyers. ≈ Comments Off on West Virginia Supreme Court of Appeals Rules On Fee-Splitting Between Lawyers and Non-Lawyers. Gary Rich and Joseph Simioni met in connection with an asbestos case involving West Virginia University. Rich is an attorney. Simioni has a J.D. but was never admitted to the bar. Starting in the 1990s, the two men collaborated on two additional asbestos cases and contracted with out-of-state law firms to help them class action litigation. It appears that until 2002, the men agreed that they would split the proceeds of their work 50/50. but then Rich announced there would be an 80/20 split in his favor. The parties then proceeded on this basis and committed their agreement to writing in 2005. Are the West Virginia Rules of Professional Conduct statements of public policy with the force of law equal to that given to statutes enacted by the West Virginia State Legislature? The Supreme Court of Appeals answered in the affirmative, at least with respect to Rule 5.4 of the Rules of Professional Conduct. which prohibits fee-sharing between lawyers and non-lawyers. The Court held for the first time (but based on numerous authorities) that fee-sharing agreements between lawyers and non-lawyers violate public policy. . . . There has been a long, ongoing discussion in our profession about whether paralegals should have a certain level of paralegal education or whether it is sufficient to have experience alone. This article makes a good argument that, one way or another, in-depth education in legal ethics is critical for paralegals and all support staff. This subject deserves, and needs, special attention. 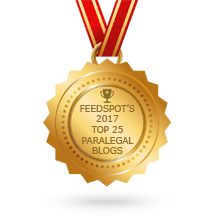 We make the mistake of thinking that lawyers know every nuance to supervising paralegals, and that is not always the case. It is not enough pick up a short review of legal ethics at a CLE seminar. You should be brushing up constantly, just as you would court rules or any other integral part of your job. Sometimes our lessons come in more bizarre ways than others. As reported by Law360 last week (subscription required), three Florida lawyers were charged by disciplinary authorities over a January 2013 incident involving the firm’s paralegal. The three lawyers were defending defamation claims against their client, who was a local radio talk show host known as ‘Bubba the Love Sponge Clem.’ The plaintiff was another radio personality. Reports at the time suggested that, on the evening after the media-focused defamation trial started, the defense firm’s paralegal spotted plaintiff’s counsel at a local bar near his home. She contacted lawyers at her firm, returned to the bar with a friend, and sat down next to opposing counsel. Over the next two hours, the paralegal is reported to have lied about where she worked, flirted with opposing counsel and ordered drinks, including buying defense counsel a vodka cocktail and shots of Southern Comfort. She also stayed in touch with the three lawyers from her firm, sending them more than 90 texts and emails over the course of the evening. . . .
How A Dental Board Decision Could Affect The Business of Practicing Law. ≈ Comments Off on How A Dental Board Decision Could Affect The Business of Practicing Law. Many state regulatory agencies are controlled by active members of the very professions they oversee. Last week, this fox-and-hen-house scenario was addressed by the United States Supreme Court, which ruled that such agencies are not immune to federal antitrust laws unless their actions are actively supervised by politically accountable government officials. While the case dealt specifically with dentistry (teeth whiteners everywhere, rejoice! ), the ruling will have far broader ramifications for many professions, including how the practice of law is regulated. In North Carolina State Board of Dental Examiners v. Federal Trade Commission, the Supreme Court upheld the FTC’s ruling that the Dental Examiners violated antitrust laws when they sent dozens of ‘cease and desist’ letters to teeth whiteners, claiming that they were engaged in the ‘unauthorized practice of dentistry.’ The letters and other strong-arm tactics worked – dentists in North Carolina established a monopoly over teeth-whitening services until the FTC intervened. The Dental Examiners monopolistic campaign was modeled after a similar, if less successful, campaign engaged by the North Carolina State Bar. The Supreme Court’s decision will have broad positive effects throughout the country. The Court’s ruling recognizes that letting professionals enforce their own monopolies creates a ‘real danger’ that they will act to further their ‘own interests,’ rather than the public interest. These practices increase prices to the detriment of consumers while decreasing consumer choice. The Court recognized that the problem is far worse when the boundaries of the state-granted monopoly are not ‘clearly articulated and affirmatively expressed as state policy,’ and the professionals are given the power to decide what is the ‘unauthorized practice’ of their profession. The active supervision concept is important. While the requirement is ‘flexible and context-dependent,’ the Court made clear that the ‘supervisor must review the substance of the anticompetitive decision, not merely the procedures followed to produce it.’ The supervisor cannot be a market participant and needs to have the power to veto or modify decisions. This will require significant interaction. Regulating the practice of law is the classic example of active market participants protecting their monopoly. In its amicus brief, the NCSB states that its authority is vested in the State Bar Council, 65 of whose 68 members are lawyers. The threat this poses is not idle. . . .
Three States Consider Non-Lawyers’ Limited License and Registration Programs. ≈ Comments Off on Three States Consider Non-Lawyers’ Limited License and Registration Programs. In the January 2015 issue of the ABA Journal, I had an article about Washington state’s limited license legal technician (LLLT) program, which will formally license non-lawyers to deliver legal services in limited circumstances independently, without a lawyer’s supervision. The article also discussed New York’s program of court navigators and reported on other states considering programs similar to Washington’s, including California and Oregon. Since that article came out, there have been three notable developments. In the ABA Journal piece, I noted that the Oregon State Bar had convened a Task Force on limited license legal technicians in 2013 and that its final report was expected soon. On Feb. 13, the Task Force issued its report. In it, the Task Force recommended to the OSB’s board of governors ‘that is consider the general concept of a limited license for legal technicians as one component of the BOG’s overall strategy for increasing access to justice.’ The report noted that a large majority of the Task Force members — but not all of them — concurred in the recommendation. Should the Board decide to proceed with this concept, the Task Force recommends a new Board or Task Force be established to develop the detailed framework of the program. For the reasons set out herein, the BOG should review the recently established Washington State Bar Association LLLT program and consider it as a potential model. The Task Force further recommended that the first area to be licensed be family law, including guardianship. . . .
NFPA Paralegal Informal Ethics and Disciplinary Opinions and Articles. ≈ Comments Off on NFPA Paralegal Informal Ethics and Disciplinary Opinions and Articles. At this link, you will find documents and articles on paralegal ethics written by members of NFPA and NFPA Informal Ethics and Disciplinary Opinions. NFPA is not the only national paralegal association to have an ethical code or to public ethics and disciplinary opinions. Also, be advised that those states that have regulated paralegals likewise have ethical requirements. Paralegals are also obligated to follow state ethical rules for lawyers in the states in which they work. Ethical rules and opinions published by the American Bar Association are advisory, not mandatory, on both lawyers and legal support staff. Therese Cannon and Deborah Orlik have both written excellent books on paralegal ethics. I highly recommend each. If you are researching what ethical guidelines for non-lawyers, your research should include all ethical rules and guidelines that have been set by national and your state paralegal associations, as well as your state bar association. Oops – Non-Lawyers and the Unauthorized Practice of Law. 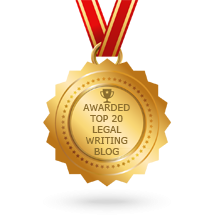 ≈ Comments Off on Oops – Non-Lawyers and the Unauthorized Practice of Law. There are certain things that paralegals, legal assistants, and any other non-lawyer legal professional cannot do. We cannot appear in court on behalf of a client (when we’re not with our supervising attorney). Even then, we won’t be sauntering up to the judge’s bench to make argument or answer the Court’s questions). And although I know some paralegals do this with their lawyer’s approval, we should not negotiate settlement on the client’s behalf. In these situations, my guess is that, the majority of the time, the client has no idea that the has delegated this task to a non-lawyers. I’m going to go with faith that non-lawyers understand about client confidentiality. A Lorain County non-lawyer and his corporation engaged in the unauthorized practice of law by providing legal advice to individuals facing criminal charges, according to an Ohio Supreme Court decision today. The court directed King Ayettey Zubaidah and STAND, Inc., to stop practicing law and ordered them to pay a civil penalty of $20,000 for their involvement in four legal matters. In each of the four cases brought before the Board on the Unauthorized Practice of Law (UPL), the defendant or a parent of the defendant asked for Zubaidah’s guidance during the criminal case and signed an agreement with STAND, which stated that the organization would assist them. No payment was required. Family members testified that Zubaidah did not claim to be an attorney and they knew he was not one. In one matter, Isaiah Harris faced several charges in three different cases in 2008 involving the same victim. The court appointed a lawyer to represent him. Harris also signed an agreement with STAND. The three cases were combined, and before Harris’ trial Zubaidah sent a letter to the judge indicating he had in-depth knowledge about the facts in the case and defending Harris’ actions. In the midst of trial, Harris’ lawyer negotiated a plea deal for a four-year prison term. Zubaidah attended the trial, but his involvement was disputed. Harris’ lawyer claimed that Zubaidah advised Harris not to accept the deal. Harris rejected the offer and was later convicted and sentenced to 23 years, 6 months in prison. In the other cases, Zubaidah sent letters to the judges asking for lower bonds, citing cases, and making legal arguments, though indicating that he was not an attorney. In today’s per curiam opinion, the court noted that an individual who negotiates legal claims for another person and provides legal advice – even without charge and even when stating that he is not an attorney – is practicing law. While a non-attorney who sends a character-reference letter for someone to a judge is not engaging in the unauthorized practice of law, the court stated that when a letter shifts to advocating specific legal positions for that person, the unauthorized practice of law occurs. ‘[D]espite the laudable desire to seek reform in the criminal system, such a desire cannot be realized by legally advising and advocating on behalf of a criminal defendant without violating our prohibition against the unauthorized practice of law,’ the opinion stated. ≈ Comments Off on Trial Tips For Paralegals. Do not let the date give you the notion that there’s nothing here worth your attention. Ms. Horn’s article and checklist is invaluable for any paralegal preparing for, or assisting, at trial. Although trial technology and the tools you use may have changed, the common sense and advice in this article is just as true today as in 1997.